Crime happens all around us without us knowing. Yet we live in a world more connected than ever. People need a way of keeping informed no matter where they are. Introducing 'Crimewatch: Stay Alert'. The new local notification system across the BBC. 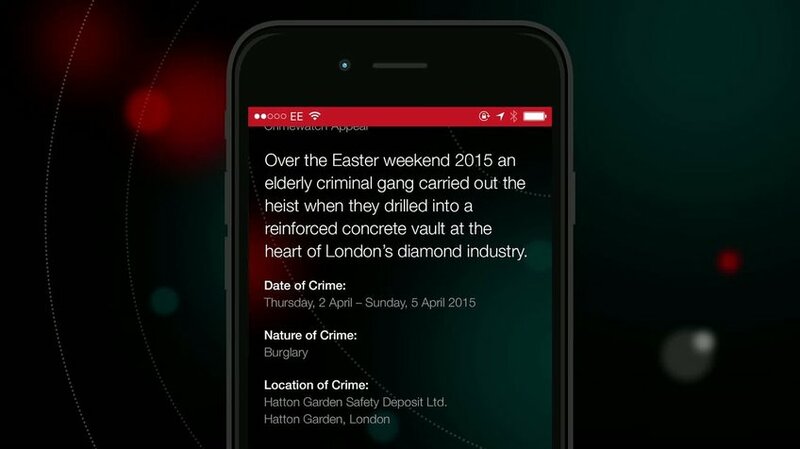 'Crimewatch: Stay Alert' helps users to stay informed, easily help the authorities and share between their local communities all using technology that they use everyday.